Any business, corporation, or individual that provides products or services to a business entity and is specified contractually or by verbal agreement is referred to as an “independent contractor.” According to the IRS tax codes, they are not defined or recognized as an employee of that business or corporation. They typically work as they are required to and are usually subject to what is called the Law of Agency. Additionally, independent contractors (hereinafter referred to as IC’s) are responsible for paying their own federal and state taxes; this is not the responsibility of the business, corporation, or individual who has contractually procured the IC’s products or services. Compensation is normally made on a freelance basis and the IC may be working through a limited company which they own themselves or via what is called an “umbrella company,” a company that acts as the agent for the IC. Does worker’s comp cover the independent contractor? 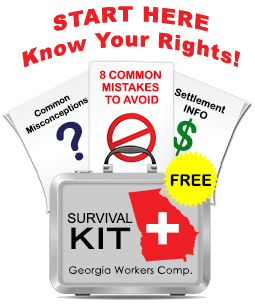 Under the worker’s compensation laws of the state of Georgia, independent contractors are not covered for any injury sustained while performing their work. However, the definition of an independent contractor under state statutes has very specific guidelines in order to determine if the individual is an employee or an IC. Employers do not always use this definition correctly or properly. Additionally, the IRS’ guidelines regarding IC’s are not followed by worker’s compensation law. For these reasons, this is a very problematic area. However, it is extremely ironic that an individual who has opted for being an independent contractor and who engage in dangerous or high risk occupations are not covered by Worker’s Compensation Insurance based on their independence or freedom from an employer. But the fact that employers would love to classify employees as independent contractor is what leads some to cheat and do exactly that so they are not responsible for worker’s comp benefits. The bottom line is that if a business owner or corporate entity has 3 or more individuals working for them and they require a method, manner, time, and the type of work that the individuals are expected perform, they cannot classify the individual as an IC. Any business owner who employs 3 or more individuals is required to carry Worker’s Compensation Insurance. It is not surprising then that some employers try to “cheat the system” in order to avoid purchasing this type of coverage. If you would like more information regarding the independent contractor/worker’s compensation issue, please feel free to contact us at our website. We will be happy to answer any questions you may have and provide you with additional information. What are the GA State Statutes that govern or define the criteria relied on by the Courts in determining the Employee/IC Status? No citations in your writing. Are there any or are you going off past GA court decisions? CDG, there are Georgia state statutes and case law decisions that describe what constitutes an independent contractor. This blog, however is designed for the layperson as opposed to lawyers so I try to minimize the statute and case law citations to keep my posts more readable. My husband was working for a company, then left. They called him to do some of the same work and he said yes, but they didn’t hire him back. He was 1099’d and has continued to work for them in this capacity off and on for a few years. Is he covered by Workers’ Comp? Probably – I would speak to a lawyer for an opinion specific to the facts of his case.